Please fill out the form below and I will be happy to provide you with an estimate of your home's current value. This is a free service with no obligation. 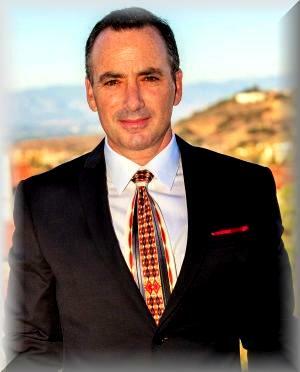 If you are thinking about selling your home or would like information on the market, I am a top Calabasas Realtor specializing in Calabasas, Hidden Hills, Bell Canyon and the surrounding areas. Please feel free to contact me to discuss how I can assist you with your real estate needs. 1. Price it right from the start...Sellers often think they should start the asking price high and then lower it later if the house fails to sell. But that can result in a slower sale – sometimes even at a lower price. The first 30 days’ activity of your house being on the market is usually the best activity you’re going to see. If the price is too high, many buyers and their agents will stay away, assuming you’re not serious about selling or you’re unwilling to negotiate. 2. Get clued into your competition...Work with your agent to get educated about the price, type of sale and condition of the other homes your home is up against. Attend some open houses in your area and do a real estate reality check: know that buyers that see your home will see those homes, too – make sure the real-time comparison will come out in your home’s favor by ensuring the condition of your home is up to par. 3. Enhance your home’s curb appeal...This could mean adding new sod, planting flowers, painting the front door or replacing the mailbox. Prospective buyers form an opinion the moment they spot the home. Curb appeal is everything. Driving into the driveway and walking into that front door sets the expectations. 4. Update the interior and exterior...New fixtures, fresh paint and updated landscaping are all fairly easy and affordable ways to give you home a makeover. It’s got to look up to the current market conditions and what’s in style. 5. Clean, declutter and depersonalize...The fewer things there are in the home, the larger it will look, so remove knickknacks and excess furniture. Also take down family photos, religious items and political posters so prospective buyers can envision their family in the house, not yours. Finally, you may want to hire a cleaning service to do a deep cleaning. 6. Rearrange your furniture and stage if necessary...In the living room, symmetrical arrangements usually work well. Pull your furniture off the walls and use pairs (of sofas, chairs, lamps) to create an inviting conversation area. 7. Access is essential...Homes that don’t get shown don’t get sold. Don’t make it difficult for agents to get their clients into your home – if they have to make appointments way in advance, or can only show it during a very restrictive time frame, they will likely just cross your place off the list and go show the places that are easy to get into. 8. Ensure the listing has good photos, and lots of them...Most homebuyers start their search online and decide which homes they want to see based on the photos. Make sure your agent uses a professional photographer to photograph the home. For luxury homes there should be day and evening (dusk) photos of the home. 9. Listen to your agent...Find an experienced real estate agent to list your home, who knows and has a successful track record of selling homes in your area, listen to their recommendations! Find an agent you trust and follow their advice as often as you can.